As you might have noticed: I try to keep my Christmas decoration pretty minimal this year. With paper stars and concrete hangers on tiny trees. One of the few things I put up from last year are these pine cones with golden stars (and these gold pearl stars on the tiny tree to give it a little color). However I wanted to decorate my windows some more (I have quite a lot of them) because it gets dark so early and then they look at me all pitch black and frozen. 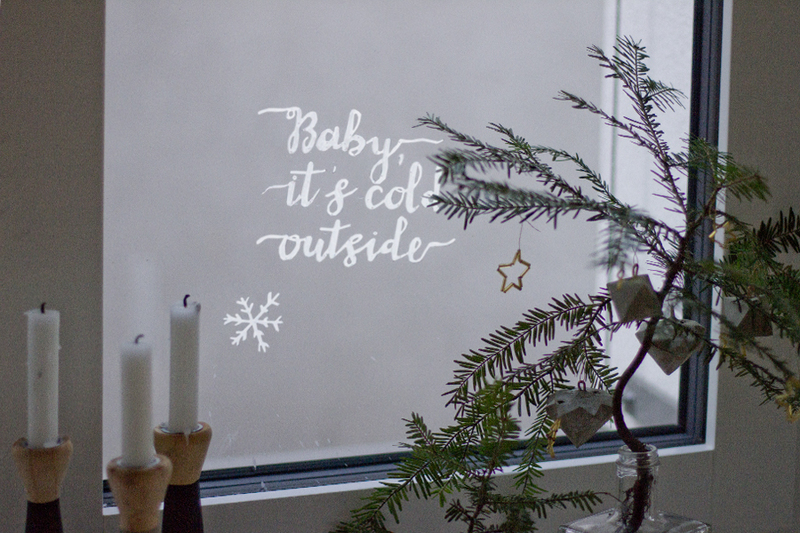 So I tried something new: writing on them as temporary winter window decoration. I tried it on a glas plate I had but knew nothing could go wrong on this temporary display. It’s also done in 30 mins and it makes me smile every time I look at it. 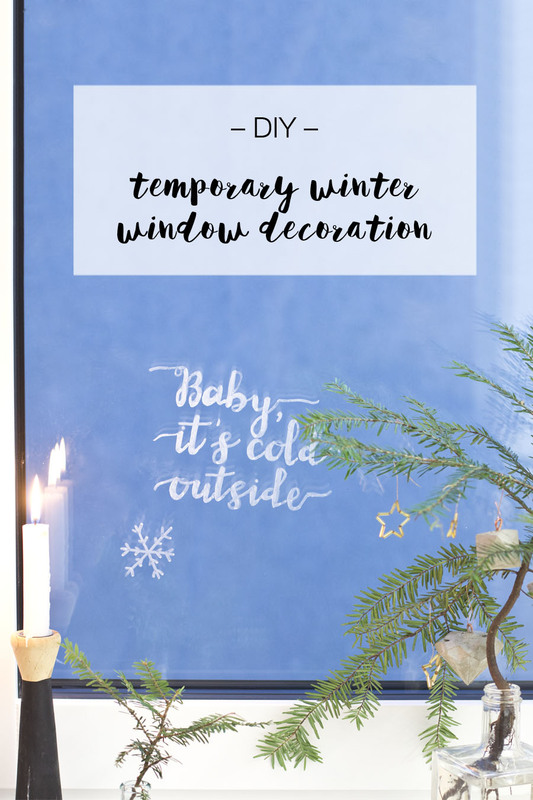 Stick the template with the washi tape on the back of the window. Follow the lines with the chalk marker. Our windows are quite thick, so it was a little tricky to follow them exactly but having just an idea of what it’s supposed to look like, helps. It might look in this window like I’m drawing completely wrong but if you’d view it from my side (not the camera’s) it’s perfectly aligned. 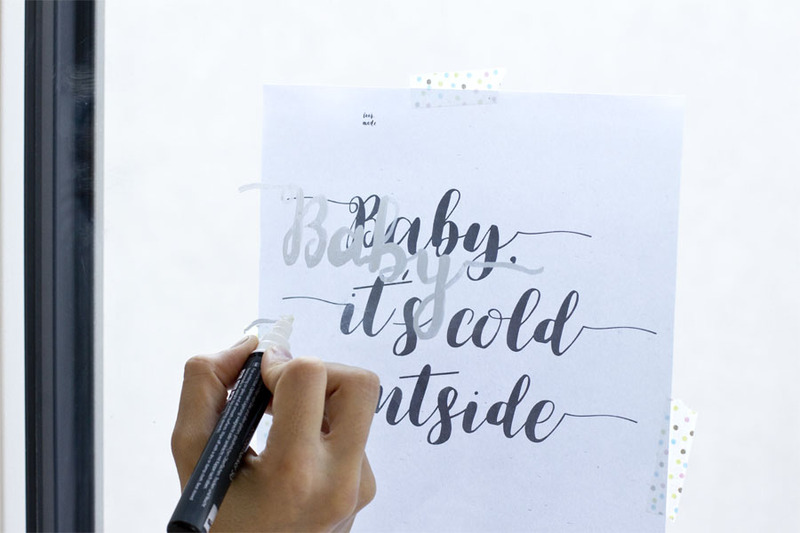 If you made a mistake, it’s easy to wipe off with a clean and damp cloth. That’s also how you can remove it in Spring. 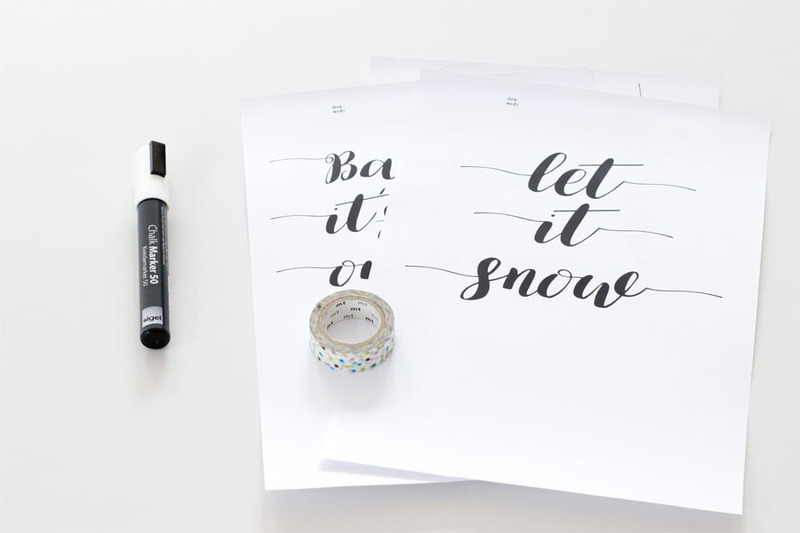 Once your done with the writing just remove the paper and voilá! And here’s a video showing you exactly how you can make it (not that it’s that tricky – I just liked to make a video). 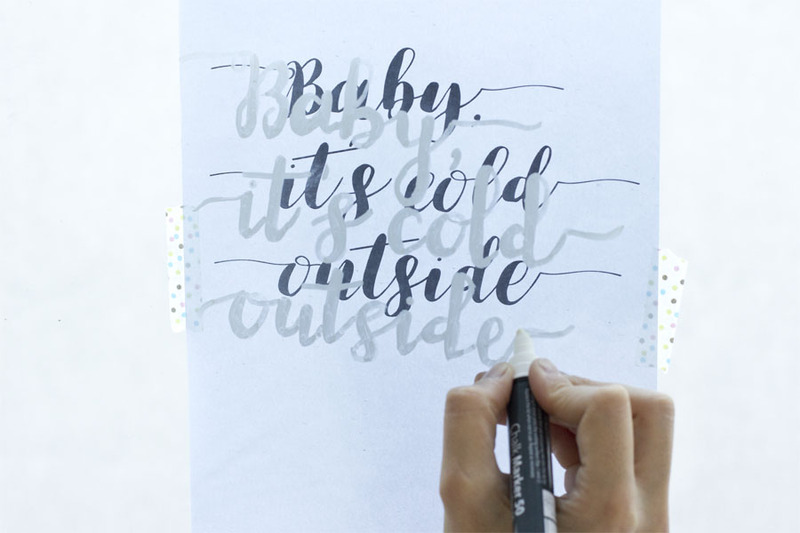 I was researching on Pinterest on quotes for this project and found that many, many people seem to hate winter. What’s that about? 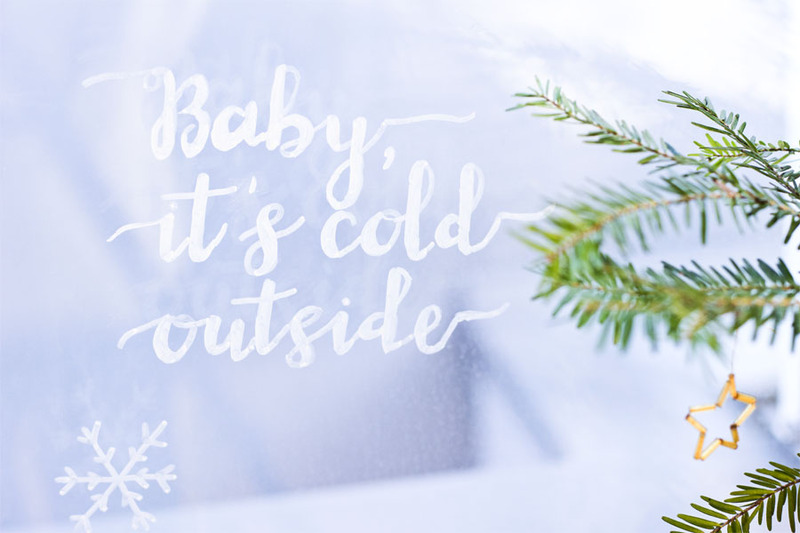 I mean I get that’s it annoying that it gets dark early but just think about hot drinks, warm blankets, walks in the crisp air and don’t get me started on the cookies! Also it’s the best excuse to catch up on series and movies and playing board games. Both of which I love so much but feel hesitant to do when the weather’s good outside. I guess those people just don’t know how to entertain themselves. Yes, that must be it. Are you done with your Christmas decoration already? What’s your color palette? No bake chocolate christmas cookies with rum.